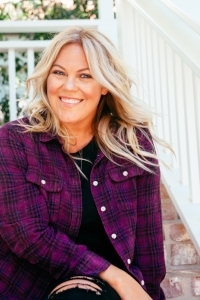 CHECK ME OUT ON GOODMORNINGAMERICA.COM! Can you keep it keto during food focused celebrations like the Super Bowl?! Of course you can! 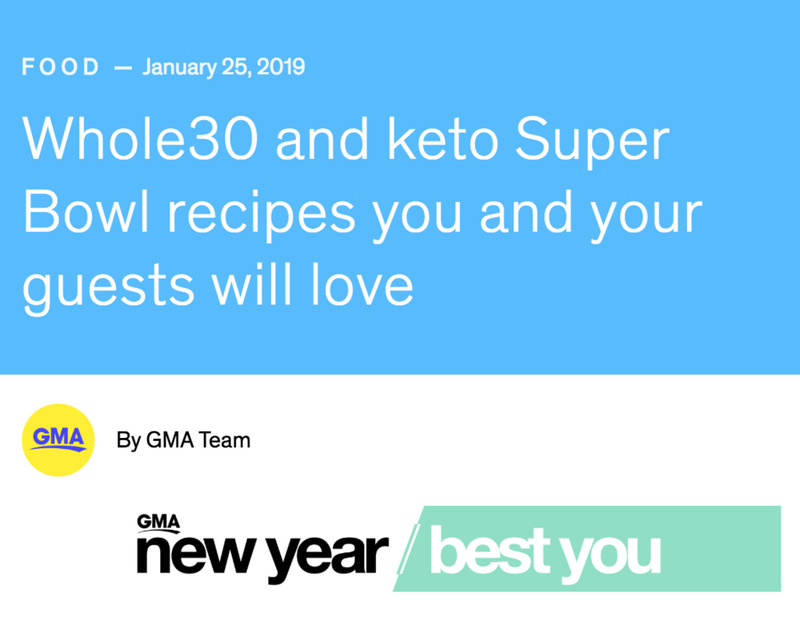 I was super excited when the team at Good Morning America reached out and wanted to include some of my recipes in their round up of Whole 30 and Keto Super Bowl Recipes You and Your Guests Will Love. 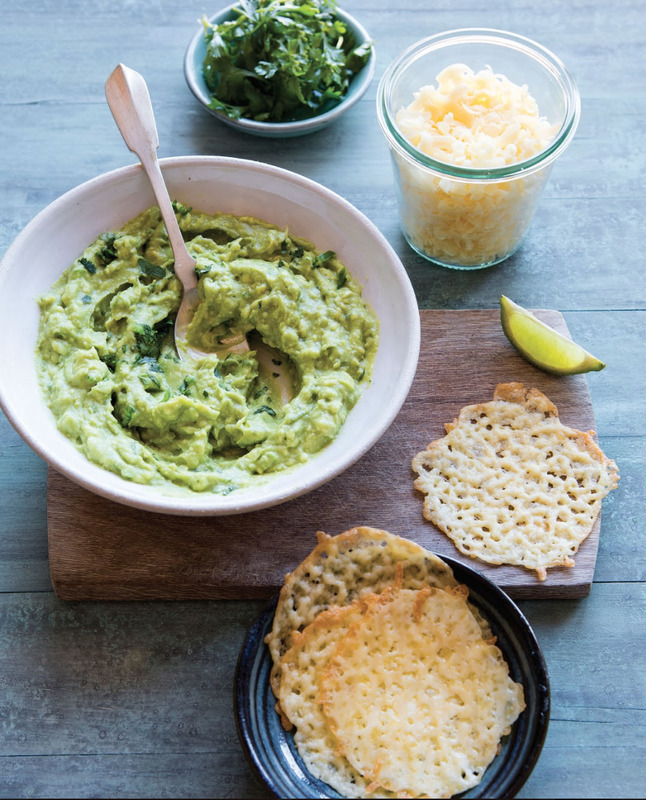 They shared my Cheese Chips and Guacamole recipe from my newest book Keto In 30 Minutes, as well as my Green Chile Meatballs and Chocolate Chip Cookies from The Big Book of Keto! Preheat the oven to 350 degrees F. Line a baking sheet with parchment paper or a silicone baking mat. Add 1/4 cup mounds of shredded cheese to the pan, leaving plenty of space between them, and bake until the edges are brown and the middles have fully melted, about 7 minutes. Set the pan on a cooling rack and let the cheese chips cool for 5 minutes. The chips will be floppy when they first come out of the oven but will crisp as they cool. To make the guacamole, in a medium bowl, mix together the avocado, lime juice, jalapeno and cilantro and season with pink Himalayan salt and pepper. Top the cheese ships with the guacamole and serve. In a bowl, mix the pork, beef, green chiles, pork rinds, egg and taco seasoning. Form the mixture into eight meatballs and place in a baking dish. Pour the salsa verde over the meatballs. Bake for 30 minutes, uncovering the dish for the last 5 minutes. In a saucepan or in the microwave, melt the butter. Place in a room-temperature container and let it set in the refrigerator for 10 minutes to cool down. In a large bowl, combine the almond flour, salt, erythritol and cream of tartar. Stir to combine. In a small bowl, combine the egg, vanilla and cooled butter. Whisk together. Pour the wet ingredients into the dry ingredients and combine everything together with a large spoon or rubber scraper, then fold in the chocolate chips. Scoop out 2 to 3 inch mounds of cookie dough and place on the prepared baking sheet. I like to flatten mine a bit. Bake the cookies for 10 to 12 minutes, until the edges turn golden brown. Let the cookies cool for 10 to 15 minutes before transferring them to a cooling rack to cool for an additional 15 minutes. These will make puffy chocolate chip cookies with a chewy center. I absolutely love them cold, so I generally store them in the refrigerator. I’m so thankful to Good Morning America for sharing healthy options with people and showing how keto can easily (and deliciously) be incorporated into everyday life!